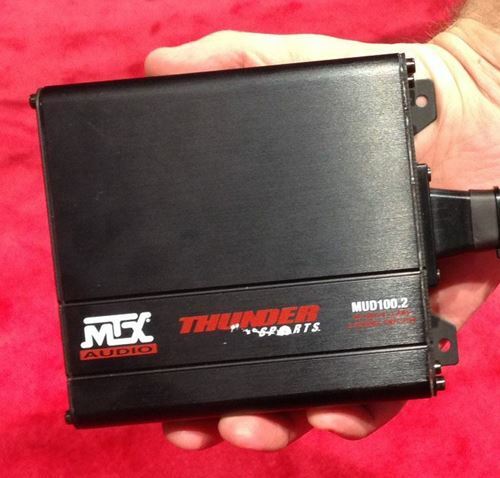 The MAVERICKBOAKIT2 is a package that includes everything you need to take your Can-Am Maverick to the next level in sound. 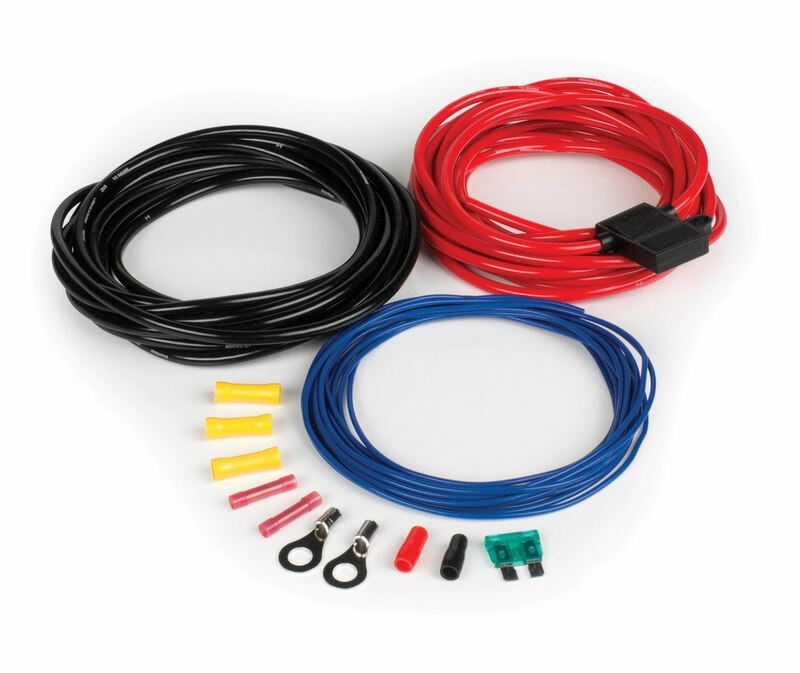 This kit includes the MUDSYS41 Bluetooth overhead audio system, MUD100.2 compact amplifier, a pair of all weather MUD65P roll cage mount speakers, and all the wires you need to connect everything together. 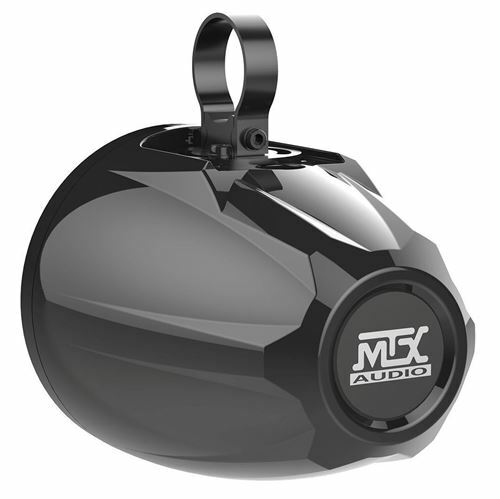 The MAVERICKBOAKIT2 is a package that includes everything you need to take your Can-Am Maverick to the next level in sound. The MTX MAVERICKBOAKIT2 audio package includes a Bluetooth overhead audio system and amplified subwoofer enclosure that delivers unbeatable, high-quality audio for Can-Am Mavericks. This all weather system includes the MUDSYS41* that includes four 6.5" coaxial speakers that work in conjunction with an integrated 280-watt power amplifier. 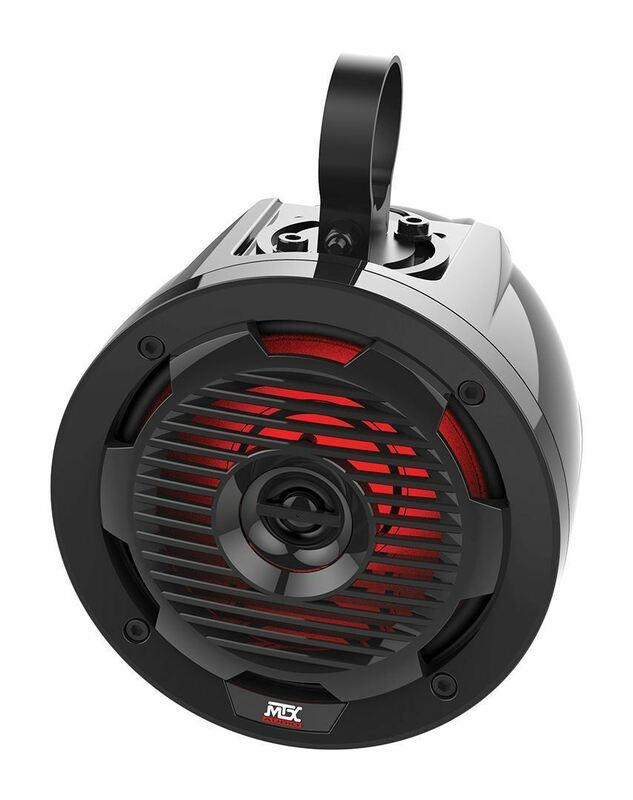 Sources include Bluetooth, 3.5mm auxiliary, and a digital AM/FM radio that allow you to listen to your music however you want. The unit also includes a USB port for charging your device, a digital clock, and LED map light. 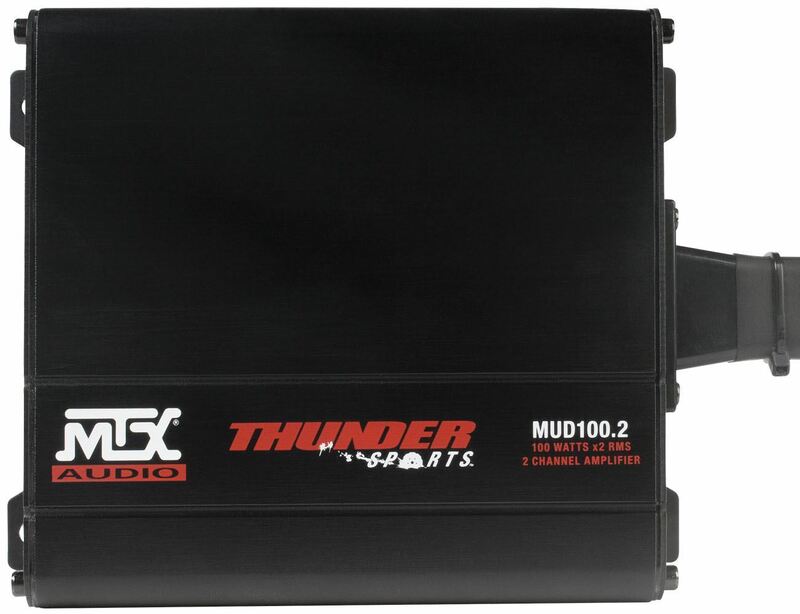 The MUD100.2 amplifier delivers high power with minimal current draw to the MUD65P all weather cage mount speaker pods allowing for even louder sound and options especially for 4-seater Maverick models so all riders can enjoy music during a ride. The MAVERICKBOAKIT2 system is the perfect solution for select Can-Am Maverick models.